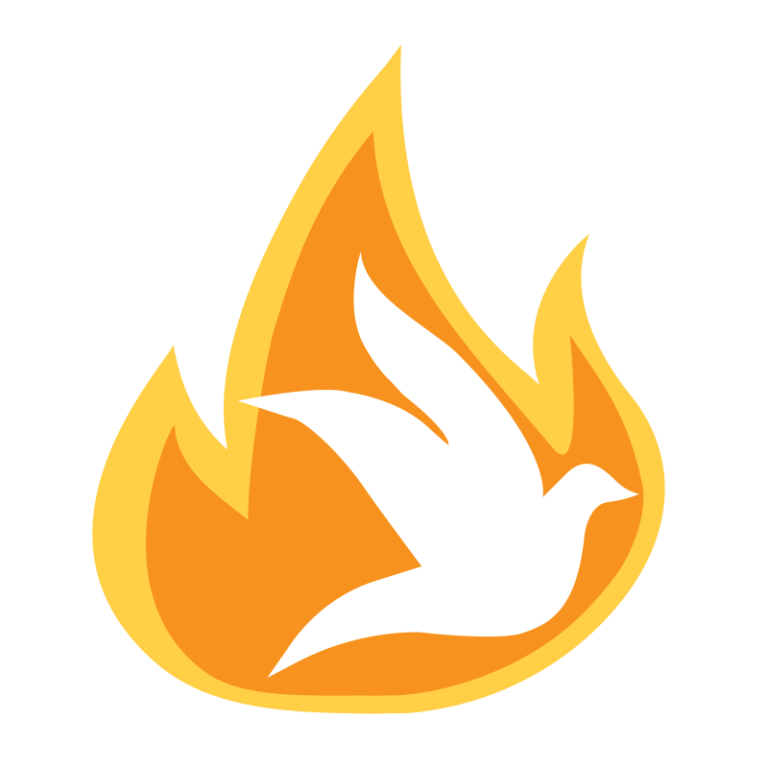 Holy Spirit Catholic Church is a community of living faith in Jesus Christ, called by him to seek constant renewal in His Spirit and dedicated to the Sacred Scriptures and the living tradition of the church. We are centered on celebrating the Sacred Eucharist and our Christ-given commission to make present through our lives in the world, the reality of God's love. Confession times: Saturday at 3:00 pm and on the fourth Friday of each month from 12:00-2:00 pm. The CCW Board Meeting will start at 10 a.m. in the school auditorium. The General Meeting will be held on Tuesday, May 7 in the Parish Center at 9:30 a.m. Please plan to attend. 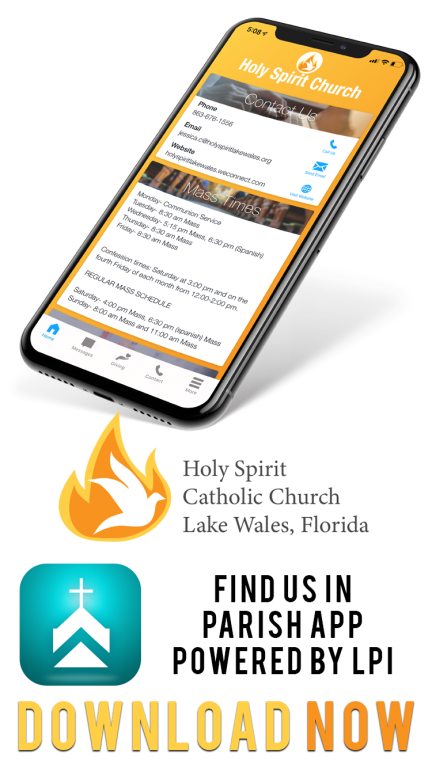 You can help our Holy Spirit Catholic Church! Our Catholic Appeal 2019: Your generosity changes lives! Your gift feeds the hungry, prevents homelessness, provides Catholic formation experiences for children and adults, and supports seminarians and retired priests. 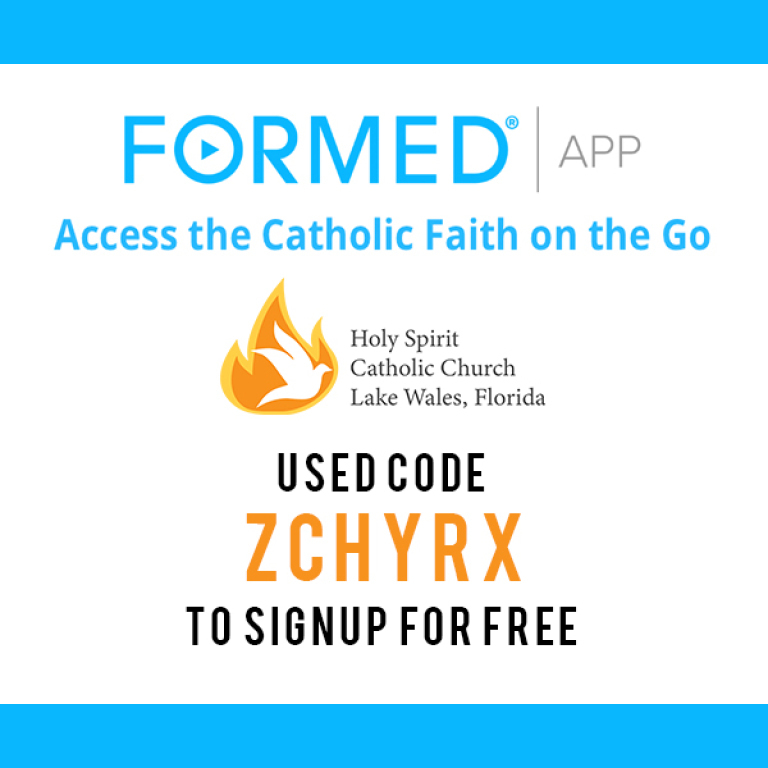 Your generosity uplifts our Central Florida's Catholic community. Your Catholic leadership changes lives! Used code: ZCHYRX to signup for free. ©2019 Holy Spirit Church All Rights Reserved.